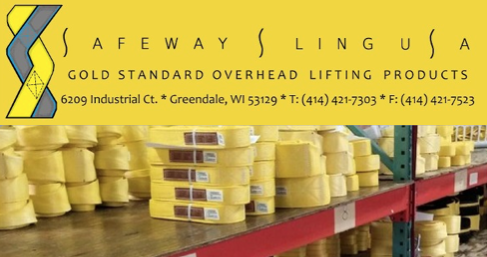 Safeway Sling USA, Inc has a proven record of excellence in designing and fabricating 100% USA made lifting slings in Greendale, WI. 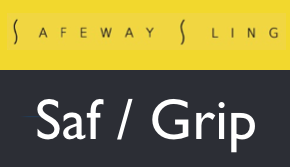 No matter the size of your project, the experienced, knowledgeable professionals at Safeway Sling USA, Inc will help design and fabricate the perfect assembly for your project. Whether it is their 100% USA made nylon or polyester lifting slings, wire rope or chain slings fabricated in their facility, or tie-down assemblies that meet all WSTDA standards, you can rest assured you will receive the best products in the industry. 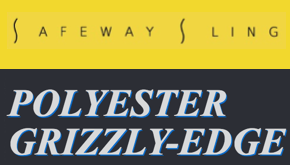 Along with manufacturing synthetic and metal lifting slings, Safeway also provides the services of certifying/recertifying most overhead lifting assemblies utilizing our in house ASTM E-4 calibrated testing facility. - Special Polymer Edge Yarns. - Heavy-Duty Gray Abrasion Resistance Treatment. - Red Core Yarns to Aid Inspection Process. - Acid Resistance and Retains Less Moisture than Nylon Webbing. - Gray Webbing with Blue Polymer Edges and Blue Center Stripe. The Saf/Grip Round Sling is a major advancement in pulling and overhead lifting. It is fabricated using red striped white polyester load bearing yarns encased in flexible polyester fabric. - Rounds slings are soft. - Pliable body will hug many uneven and odd-shaped loads. - It grips tightly and is easy to unhitch. - The Choker hitch will not lock up on the load. 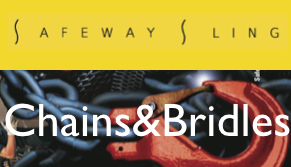 Safeway Gold Standard Alloy Chain Slings utilize grade 80, 100 and 120 lifting chain, manufactured from special analysis alloy steel. It represents the ultimate in strength and wearability. Gold Standard Chain Slings are furnished with gold I.D. Tags. Every Gold Standard Chain sling is proof tested (pull tested to 200% vertical rated capacity) to assure quality and unit integrity. Each unit is individually serialized for traceability. Proof test certificate provided. Rugged and reliable, the flemish eye spliced with carbon steel sleeves offer the greatest safety in a wire rope choker. 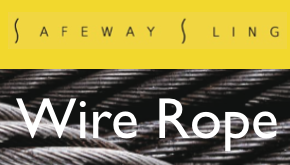 This construction offers 93-95% wire rope efficiency. Inspection is facilitated by painting sleeves gold to verify swaging is complete and proper. Capacity/Care and Instruction tag attached. Proof testing and certification available upon request.